I have to say this is my favorite Stampin’ Up!® card created thus far. I wanted to really show off the dies from the Hold On To Hope Bundle. By now you probably all realize that this is a MELANIE’s MUST HAVE product bundle. 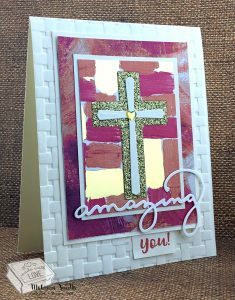 I have a Very Vanilla card base here and I ran the front of the card base through the Big Shot using the Blossoming Basket Weave Dynamic Textured Embossing Folder. 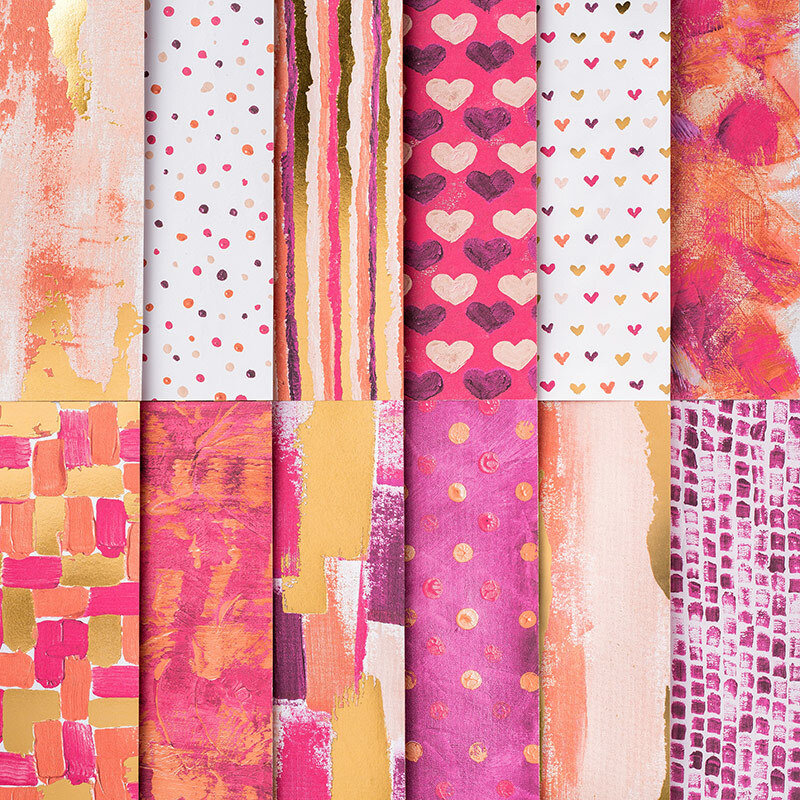 This is a bundle that you can get for FREE with a $100 purchase by March 31st. 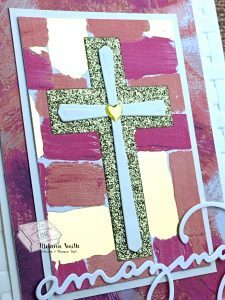 Using the Painted With Love Specialty Designer Series Paper I cut a open cross from the Hold On To Hope Bundle. This paper is STUNNING! One side of each piece had gold foil and the other side is a whole other pattern without the gold foil. Using the dies from the set I cut another open cross from Gold Glimmer Paper and inset that cut out piece into the hole from the previous cut. Then I simply cut the simple cross from the bundle to add on top. 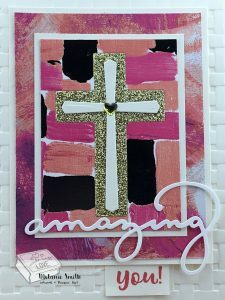 The “Amazing” Die is part of another FREE /w $100 product from the Sale A Bration Catalog. 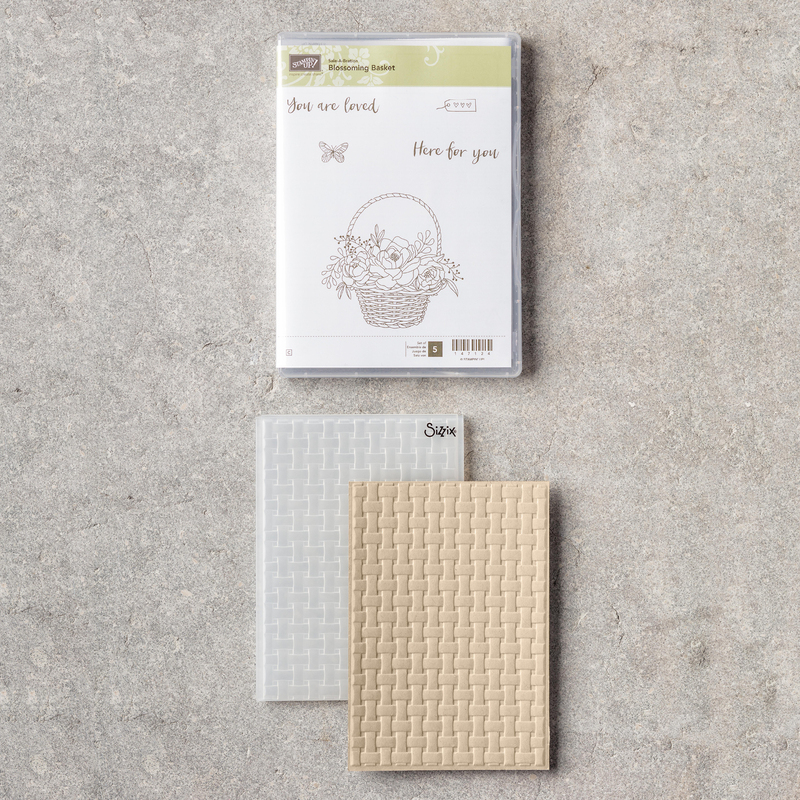 To see ALL Freebie items simply CLICK HERE! Remember the special ends March 31st. You are amazing. Thank you for visiting my website. Add your email into the side bar if you wish to be notified when a new project is uploaded. Have an amazing weekend! All Images © Stampin’ Up! 2008. Melanie Smith, Independent Stampin’ Up! Demonstrator. The content of this blog is my sole responsibility as an independent Stampin’ Up! Demonstrator and the use of, and content of, the classes, services, or products offered on this blog is not endorsed by Stampin’ Up!